How would you like your vendors to start competing for who will pay for your next mailing? 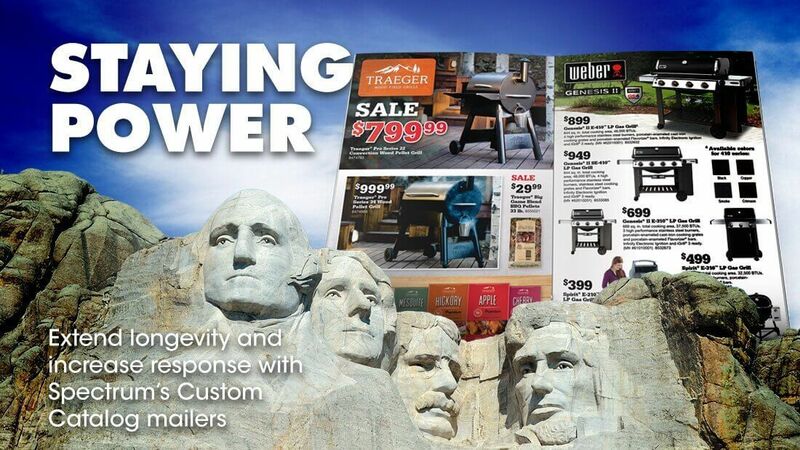 A multi-page catalog is an incredible opportunity for your business to showcase multiple product lines, feature new or best-selling items with large, impressive images, and have your customers spend more time with your direct mail piece. Vendors will jump at the chance to buy space with co-op dollars! 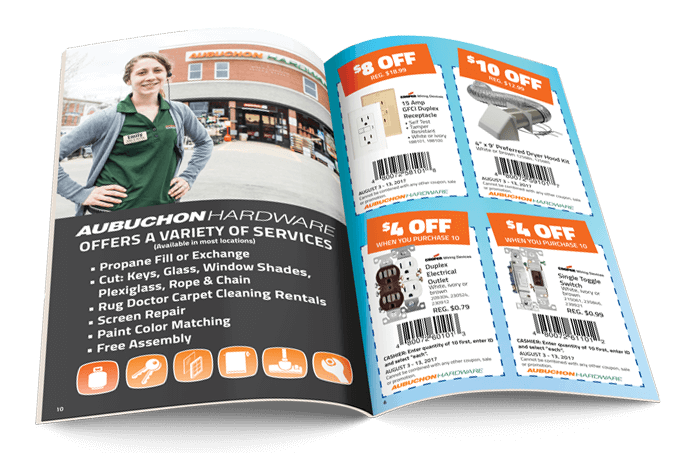 At a generous 9”x7.5”, a standard eight-page catalog is an inexpensive way to make a big impact on your target audience, and have longevity that goes beyond traditional mail. Catalogs can, and often do remain in homes for weeks while your audience casually browses your featured products and plans when and how they will use your included offers. The ease of effortlessly leafing through a catalog is a welcome break from sitting in front of a screen and searching link after link – and the more time your audience spends with your brand, especially with tactile media like a catalog, the more brand recall and recognition you get! Space limitations, on traditional mail, means you have to limit an entire category or product line to one or two representative items, and even how much vendors are willing to compensate with co-op money. With a catalog, you can dedicate as much real estate as you like to each category, product line or manufacturer, which will please your audience and your suppliers. A great strategy would be to launch a semi-annual or quarterly catalog mailing to supplement event or holiday-driven mailings, to add longevity to your offers, feature more products, and have your audience spend more time with your brand and your product lines throughout the year. Don’t forget to get print overruns to use as in-store handouts! 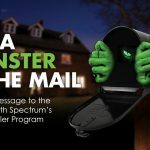 Call to ask your Spectrum representative how to get started! *Need more room? Additional pages available as needed, call for special pricing!